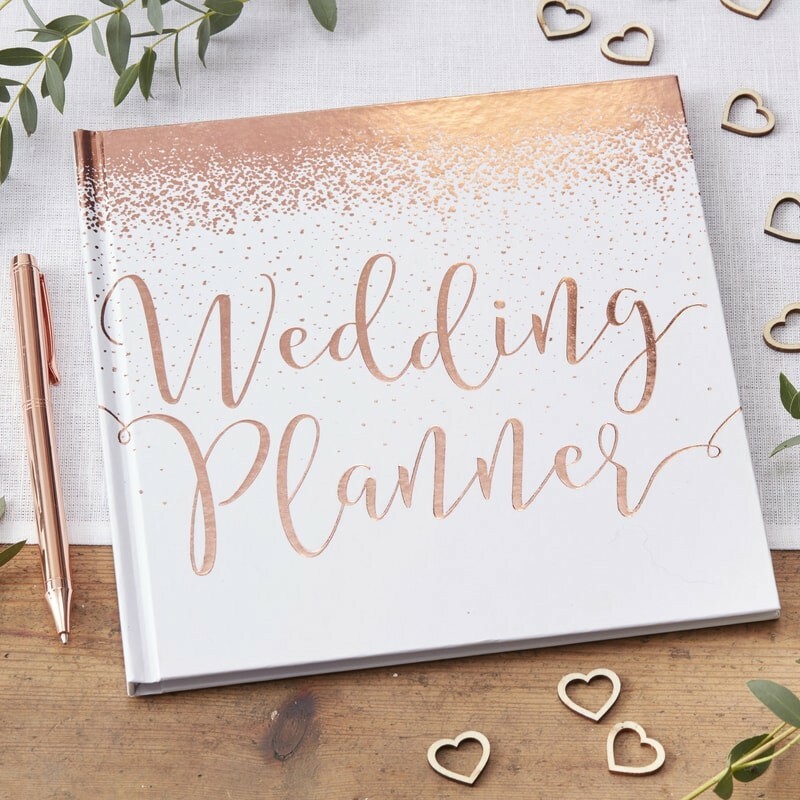 The beautiful rose gold foiled writing on the hard back front opens up to a gorgeous planner that is easy to personalise. Don't forget our matching 'Happily Ever After Guestbook' for your wedding day too! Happy Planning! Wedding planner measures 21cm (H), 20.5cm (W) and 1cm (D).